When it comes to your home’s HVAC system, trust Ashley Brothers Heating & Cooling to provide you with an unmatched level of service, from installation and repairs to maintenance and inspections. We’re here to make sure your forced air is always of the highest quality, no matter the season, no matter the unit, no matter the home. Your quality of life while you’re in your home is largely dictated by the quality of the forced air that surrounds you—in the winter it’s warm air provided by your furnace; in the summer it’s cool air created by your air conditioning unit. When something’s amiss with either of these vital components however, the quality of your forced air is going to suffer, which means your quality of life is also going to be at risk. Ashley Brothers Heating & Cooling is here to make sure that HVAC problems are prevented before they have a chance to develop and if you are suffering from low-quality forced air or an HVAC issue, that it’s resolved quickly and thoroughly to get your home back on track to comfort. We carry only top quality brand names, including Ruud and Rheem products, as well as Goodman Systems and Mana Systems that include warranties. We proudly serve St. Louis County and Jefferson County. Our repair and maintenance expertise extends to all major brands and most units. We can help you obtain financing for new HVAC essentials, including furnaces and AC units. 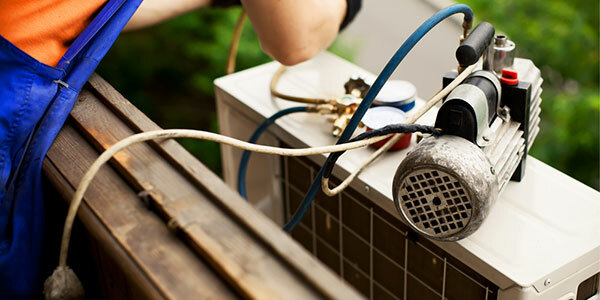 We can also provide commercial HVAC services! "I cannot say enough good things about the amazing service we received from Ashley Brothers! On the hottest weekend of the summer our AC went..."
"We came home from work on a 90 plus day, humidity unbearable to air conditioning not working. Ashley Brothers was there within a couple of h..."
"I have used Ashley Brothers Heating and Cooling on 4 separate occasions and have received excellent service. I highly recommend this compan..."
"Super fast response time to service call, as always Chuck was super knowledgeable and helpful to get our AC unit up and running! We will co..."
"We have used Ashley Bros. for over 10 years now and would recommend them to everybody.Chuck and his staff are professional and knowledgeable..."